We are delighted to announce the successful sale of the Nimbus 31 Ultima ‘Amber’. Nimbus motorboats offer those making the move from sail to power the perfect compromise. Built to a high standard with superb attention to detail they are designed with a focus on practicality and function. The hull of the Nimbus 31 Ultima proved extremely successful and underpinned a total of 4 different models over the years. Currently wintering ashore in Argyll. 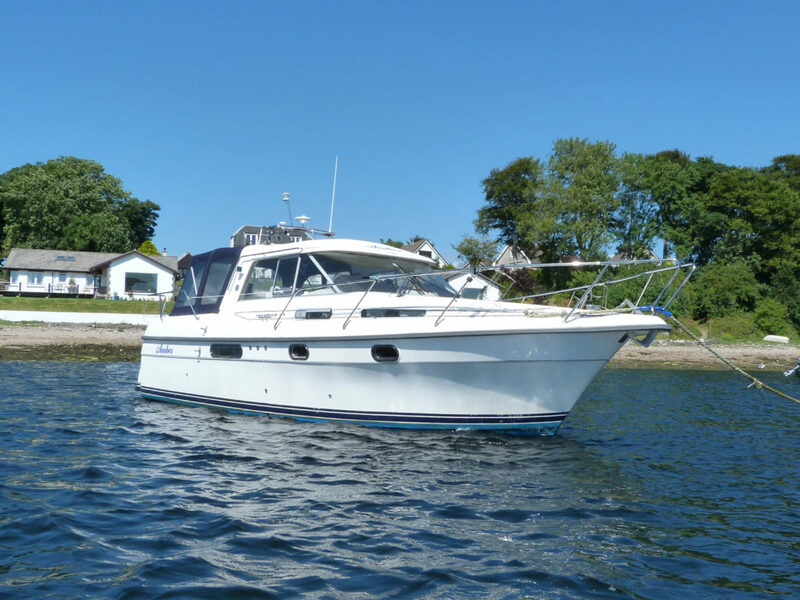 Her new owners are looking forward to their first season of motorboat ownership after a lifetime of sailing. We look forward to seeing them making the most of their new found speed this summer.